Broward County Sheriff Scott Israel tells his staff he will be suspended by new Florida Governor Ron Desantis. Broward County Sheriff Scott Israel, who has come under fire for his office’s response to the Parkland, Florida, school shooting, told his top staff that he will be suspended by Florida’s new governor. Israel, the county’s first Jewish sheriff, made the comments Tuesday as Ron DeSantis was sworn in, the Miami Herald first reported. 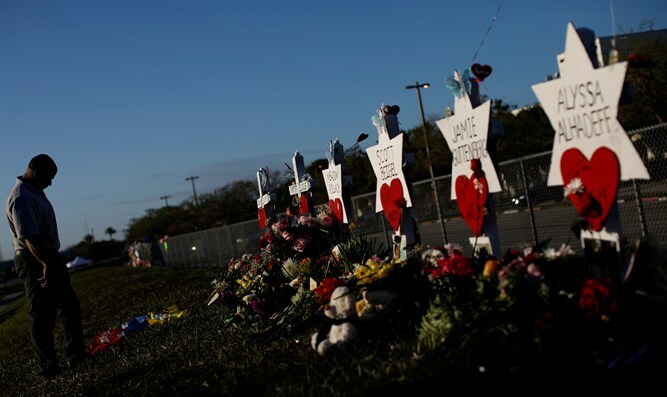 In the February shooting that killed 17 student and teachers, at least one armed deputy from Israel’s office did not enter Marjory Stoneman Douglas High School when a former student began firing an AR-15 rifle in the halls. His office also is said to have not responded appropriately to calls expressing concerns about the shooter prior to the attack. A DeSantis spokesperson told Fox News that no one from the governor’s office had been in contact with Israel or his attorneys and have not communicated to him that he will soon be suspended. One of Israel’s attorneys, Stuart Kaplan, told the Herald that the sheriff remains in his office working. “The governor has not said anything to us, directly or indirectly, as to whether or not the sheriff is going to be suspended,’’ Kaplan said. Israel, who has worked in law enforcement for 30 years and has acknowledged that there were mistakes in his office’s response to the Parkland shooting, has said he will fight a suspension or removal from office.